"Youth must take inspiration from Eknathji's life and make their life meaningful" - said Mananeeya Nivedita Bhide, Vice President​, ​Vivekananda Kendra Kanyakumari. Delivering the inaug​u​ral address of Mananeeya Eknathji Ranade Birth Centenary Celebration​s​, NiveditaDidi shared incidents of Eknathji that showed him as a master organizer, forceful communicator and visionary leader. ​Eknathji was born in a poor family in Maharashtra and by the dint of his efforts and inspiration of Swami Vivekananda, he stro​ve to make the country great, first through Vivekananda Rock Memorial and then through Vivekananda Kendra - a nationwide service organisation, she said. Speaking on the occasion Chief Guest Hon. Justice B. Subhashan Reddy, Lokayukta for the States of AP & Telangana, praised the organized efforts of Vivekananda Kendra in propagating good values and education to remove the ills of the society and expedite the efforts to make a Developed India. Chairman, Pennar Industries Limited Sri Nrupender Rao, who is the Chairperson,Celebrations Committee - Andhra Pradesh and Telangana extolled the virtues of Eknathji who was inspired by Swami Vivekananda. A set of four Telugu books on Vivekananda Rock Memorial, Swami Vivekananda and Eknathji Shila Smaaraka Kathaa, Hindu Jaatiki Vivekananduni Melkolupu, Karyakartaala Vikaasiniki Diksoochikalu, Visista Vyaktitvam Eknathji were also released on the occasion. These are the first four books published by the recently launched Vivekananda Kendra Telugu Prachurana Vibhagamu​. Justive CV Ramulu, National Vice chairman of the Celebrations Committee, read out the list of the Celebrations Committee for the Telugu praantam while Sri Raghav Reddy​, Trustee, Valmiki Vanaprasthashramam gave a rousing call to those who are retired but not tired to dedicate their remaining years for seva through the Kendra. Sri Guttikonda Sri Ram, Director KL University and Member, Celebrations committee delivered the Vote of Thanks. Earlier welcoming the august gathering, Sri G. Chandramouli, Praant Pramukh, Vivekananda Kendra, Telugu Praant, said the year long Celebrations of Eknathji's Birth Centenary will have several local and state level programs for youth, women, ​intellectuals, families​ and tribal communities​. The purpose of these programs is to inspire the society through the life and work of Eknathji, who had sacrificed his entire life for the good of the society​,he said. He desires the betterment of the world and I am being used just as a tool or a means to carry out His design. Labels: News Updates from Vivekanandakendra. Safal Yuva Yuva Bharat Yuva samelan at Prabhat Jyotirmoyee College, Siuri of Vivekananda kendra Shantiniketan Vibhag Siuri Shakha on 3 December. 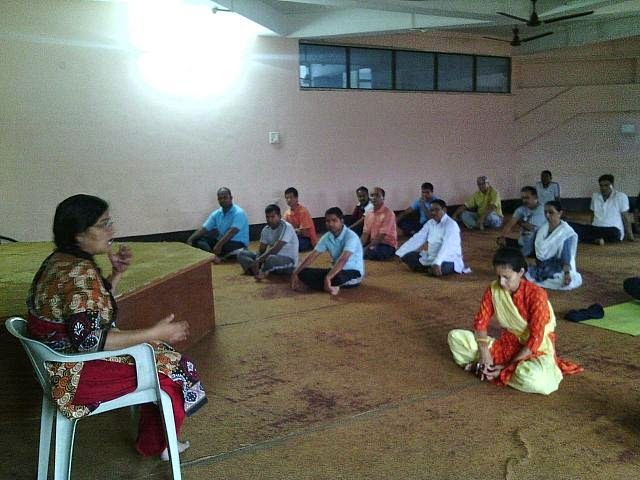 Total 118 participants attend with karyakarta. 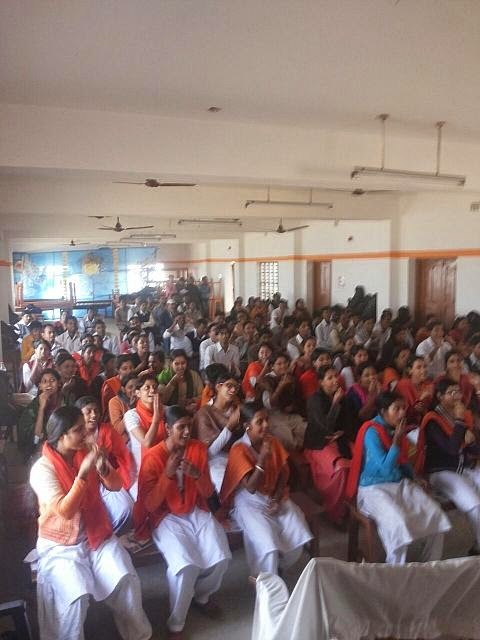 Safal Yuva Yuva Bharat Yuva samelan at Vivekananda kendra ulluberia vistar on 23 November 2014. The centenary celebration is named as Mananeeya Eknathji Janma Shati Parva to mark the birth centenary of late Eknath Ranade, who is the founder of Vivekananda Kendra. He took up the activities of organization in Arunachal way back in 1972. The yearlong celebration started on 19th November and will continue up to 19th November 2015. 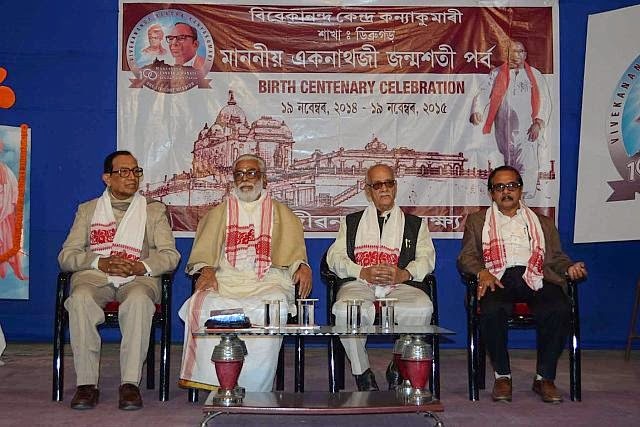 Speaking on the occasion Rinchin Dorjee, the Parva Pramukh of the celebration and former Chairman of APPSC gave a clarion call to make celebration a successful one by spreading the message of oneness and unity . 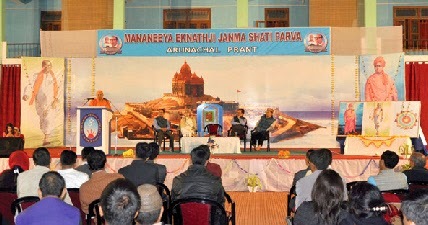 In his address Dr. Joram Begi, Prant Pramukh of Vivekananda Kendra and former Director of Higher and Technical Education said that Eknathji was the person who translated Swami Vivekananda’s vision into action especially in North – eastern part of the country. The state is fortunate that Eknathji chose Arunachal Pradesh to start his work. Now Vivekananda Kendra which had a modest beginning in 1977 with 7 Vidyalayas has increased to 34 in the whole state. 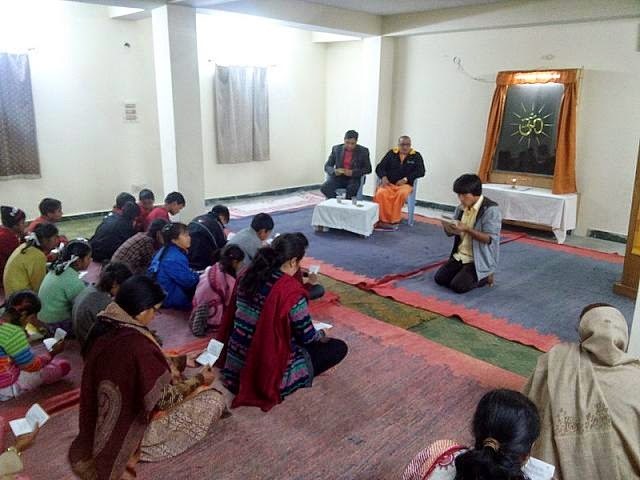 Kendra has started Arun Jyothi for Rural development and Vivekananda Kendra Institute of Culture – Arunachal Chapter for promoting the dialogue to preserve and nurture culture. A. Balakrishnan, Vice President of Vivekananda Kendra Kanyakumari, who is pioneer in the works of Vivekananda Kendra from 1972 onwards, illuminated the gathering about the vision of Eknathji for Arunachal Pradesh. Eknathji was very much fascinated to make this small hilly state as a model one and hence took up the first work in Arunachal after erecting a grand and befitting memorial of Swami Vivekananda at Kanyakumari. Swami Vishweshananda, Secretary Ramakrishna Mission hospital Itanagar who attended the programme said that the mission could not fulfill the aspiration of local populace to have a school in each districts of Arunachal and that is fulfilled by Vivekananda Kendra. Dr.Tejum Padu, Saha Prant Pramukh of Vivekananda Kendra narrated his association with Eknathji and the need of meaningful celebration to consolidate and strengthen the existing system and also to reach out to the maximum people to fulfill the dream of Mananeeya Eknath Ranade. Vivekananda Kendra has constituted committees at various levels to chalk out programmes for the yearlong celebration. Yuva Sammelan, Traditional Dance and Drama Competitions at Circle and District Level etc are some of the immediate activities planned. Inauguration of MEJSP (Saumar Bhumi Vibhag) at Dibrugarh. 1. “Sri Rama Jaya Rama” Mantra was chanted during Deepa Pooja, Shivalinga Pooja and daily by our Balwadi school children, cultural class students and during monthly meetings by our Balwadi teachers and Social Workers. Every month nearly 7, 68,538 times mantras were chanted in 84 localities. 2. Through 73 Balwadis, 1,946 rural Children were nurtured. In all the Balwadis, Malt along with hygienically prepared highly nutritive lunch with vegetables was served during the day. And in the evening vitamin-rich cereals were provided to the children. 3. In our Medicare Programme, 1763 patients were examined and treated for various common ailments, through 14 Rural Medical Centers in Kanyakumari, Nellai and Thoothukudi districts. 4. Eye camps were conducted at 4 places, in Kanyakumari, and Nellai districts in which 542 were treated for their eye ailments and 107 were operated for cataract. 13 persons given eye drops and 46 persons given spectacles. 5. 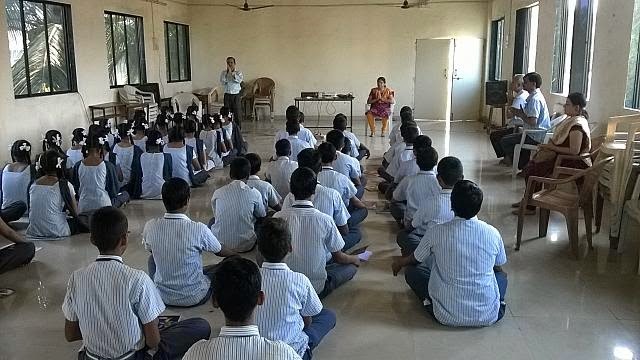 In 178 Samskara Vargas, 6954 students participated. The students were taught about the values of Indian Culture, through games, lectures & lessons. The feelings of oneness were strengthened among participants, through patriotic songs and games. 6. Under Adopt a Grannie Programme, 28 destitute and old people were provided with monthly solatiums, in the form of rice, dhal, oil, etc., for their livelihood and 106 persons provided rice only, in Southern four districts of Tamilnadu. 7. Monthly Deepa poojas were organized in 230 village temples in five districts of Southern Tamilnadu, in which 10854 ladies participated and offered prayers for the welfare of self, family and the society. 8. Under Amrita Surabhi Scheme, our Kendra workers collected 914 Kgs of rice from Thoothukudi and Ramnad and Virudhunagar districts. 10. Vivekavani Subscriptions for 148 for one year, 2 Yuva Bharathi were collected. Also contributions were received for 26 patrons. 12. Yoga Varga has been conducted at 01 places, Kovilpatti and Aruppukottai in which 14 persons attended. 13. 4 tailoring units are functioning well in Nellai & Kanyakumari districts with the total attendance of 81. 14. Shivalinga Poojas were conducted at 03 places in Kanyakumari District and 215 members participated. 15. Durga Pooja was conducted at 02 places, in Kanyakumari District in which 150 devotees participated. No.of.Parents – 84, Teachers – 90. 18. Cultural class conference was held at Eraviputhoor in Kanyakumari district. Tenkasi in Tirunelveli district and Sayalkudi and R.S.Mangalam in Ramnad district during the month of October 2014. Nealy 552 students from 32 cultural classes participated in the functions. President of Aathipatti Panchayat union one borewell was made in a village where in 150 houses are there and nearly 600 peopleare benefited with drinking water. The Financial assistance for digging bore well was made by Yogada Satsanga Society of India , Ranchi. All the village people expressed their sincere thanks to Yogada Satsanga Society of India and Vivekananda Kendra. 20. Sree Skanda Sasti Festival was celebrated in Mallankinaru, Virudunagar District. Competitions were conducted wherein 97 boys and girls participated. Bajans were held. Prizes were also distributed. 21. Saraswathi Pooja function was celebrated in 44 places and 1455 people participated. Similarly Vidhyarambha vizha was celebrated in 3 schools and 80 students participated. In our balwadi Suriya a child aged 3 ½ years has joined during the month of June and she is coming from Soorangudi. During the time of lunch she was giving the plates to other children one by one. Sometimes rice will be falling from the plates. On seeing that scene Yowan an old student approached her and asked her to sit down and he will do the job and did it. While I was thinking to tell her, Yowan has told her which impressed me very much. 1008 deepa pooja was performed in Agastheeswarar Thirukovil at Ambasamuthiram during the month of June 2014. Two days before the pooja I brought all the things of the pooja in to my house and kept. Those who visited my house asked me about the box and I explained them that it contains the pooja things. Immediately they fell before the box and worshipped and went. Next day our neighbor has heared the death news of our distant relative. They have not informed us the death message because the pooja things were in our house and the Anna Poorani is also residing with us. After the pooja is over when I heared the message I wondered about their devotion to the God and I felt the spirituality in my heart increased. In our balwadi during rainy season water will come inside the school. So we requested the people to take necessary steps and to construct a wall on that side. But nobody came forward to take any steps. 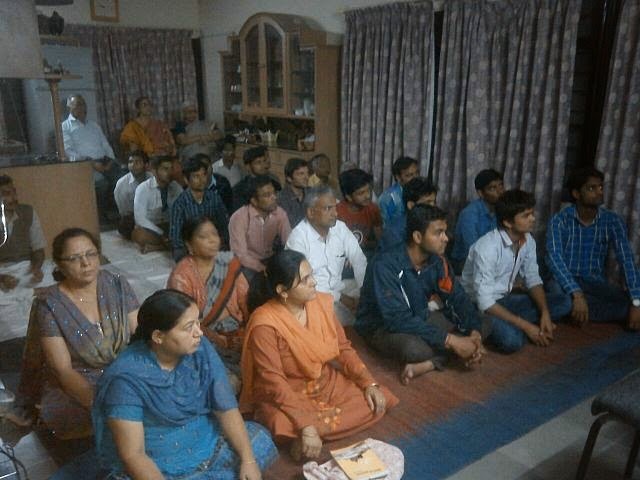 So I told all the parents that the balwadi is being runfor the benefits of the children of nearby villages. Also I warned that the matter will be taken up to the knowledge of our higher authorities and the balwadi may be shifted to some other place. On hearing this one parent came to me and offered Rs.1000/- and some other parents have also came to me including some Muslim parents for the help. I came to know that some selfless people are also there to help which impressed me very much. 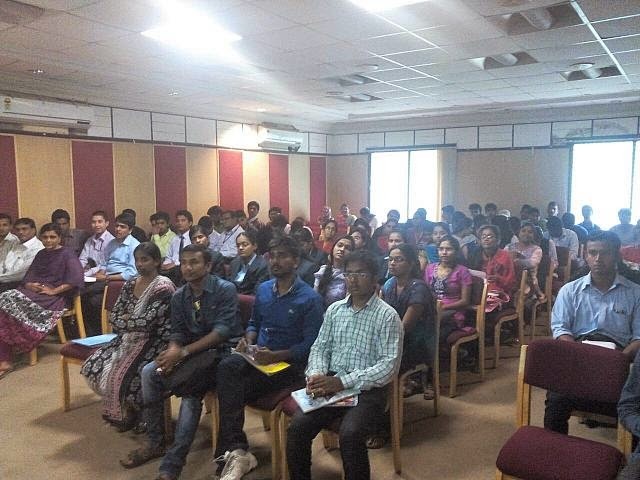 Leadership program Safal Yuva Yuva Bharat - program is organized at Hydrabad. Sadhana Diwas is organized.